A medium-sized tree to 40 feet tall and a trunk to 2 feet in diameter, with a broad, densely-branched, rounded crown and branches that tend to droop towards the ground. Native to South Texas and usually found along streams and rivers, this species is also planted as a fast-growing yard tree throughout much of Texas, often sold as "Arizona ash." Opposite, compound, 6" to 10" long, with the 5 (sometimes 3 or 7) leaflets arranged pinnately; the stalked leaflets are lanceolate, 3" to 4" long, and sometimes have coarse or remote teeth along the margins, especially on the upper half. Leaf color is medium green above, somewhat glossy, and light green underneath. Male and female flowers borne on separate trees (dioecious). Female flowers in loose clusters appearing with the new leaves; male flowers appear as dark clusters around the twigs, often before the leaves. A cluster of slender, tan, winged seeds, each 1" to 1.5" long and 0.25" wide, wing flattened, enclosing a pointed, cylindrical seed. Gray to tan, breaking into narrow, interwoven ridges and fissures that get more pronounced with age. Wood used for firewood. Plants are sold commercially in the nursery trade as a common landscape tree for South and Southwest Texas. 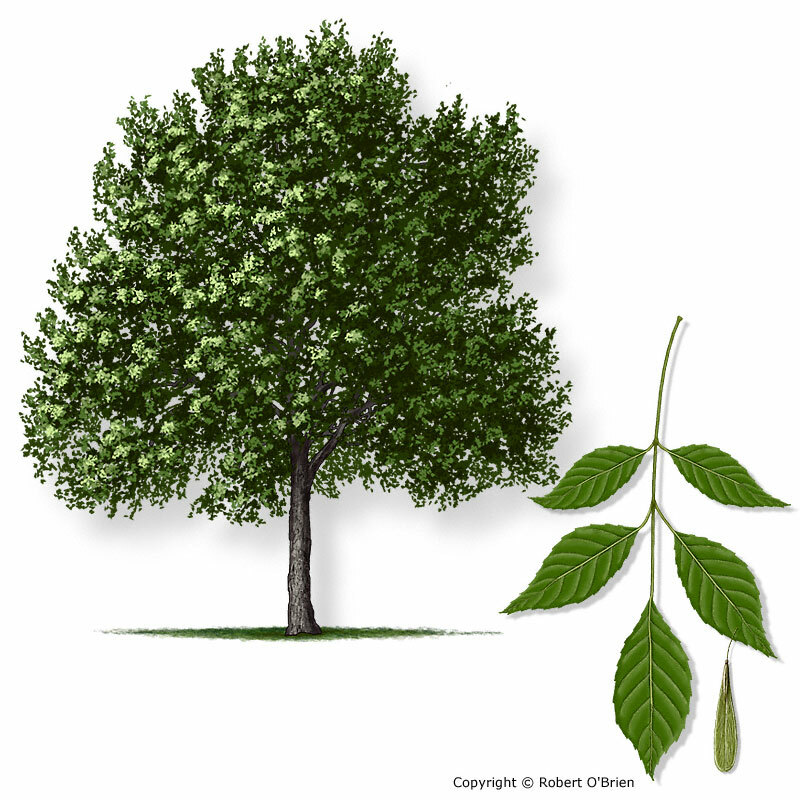 Arizona ash (Fraxinus velutina) also used as a common landscape tree and has pubescent leaf undersides; fragrant ash (F. cuspidata) has leaves just 1.5-2.5" long. Folk wisdom holds that the leaves repel rattlesnakes, so hunters often put them in their boots for protection.